Home Blog Immigration Law What Are The Different Types Of U.S. Visas? What Are The Different Types Of U.S. Visas? There are essentially two main categories of U.S. visas: non-immigrant visas and immigrant visas. Non-immigrant visas are for temporary visits, such as for tourism, business/work, or educational purposes. Immigrant visas are for people intending to actually immigrate to the United States. What are the most common non-immigrant visas? R Visa (Religious Worker Visa). There are many other less common visas, too numerous to describe herein, which may be discussed during an individualized consultation with our immigration lawyers. For example, we have helped individuals with E visas (Treaty Investors), with I visas (Journalists and Foreign Media Experts), with D visas (Crewmen serving aboard a vessel or aircraft), and with U/T Visas (Victims of Criminal Activity and Human Trafficking). What visas do I need for a longer stay in the United States? For individuals intending to immigrate to the United States for more than a temporary period, there are essentially three categories of visas: family sponsorship, employer sponsorship, and diversity immigrant visas. 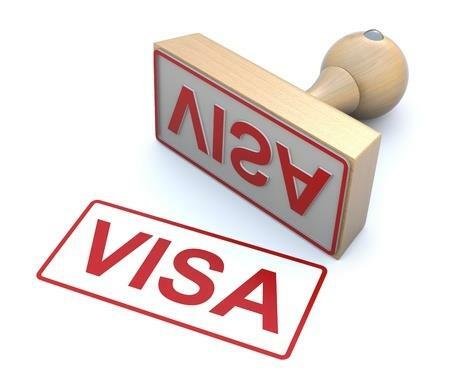 Employer Sponsorship Visas: apart from Religious workers, there are priority groups, which include Priority Workers (First), Professionals Holding Advanced Degrees and Persons of Exceptional Ability (Second), Professionals and Other Workers (Third), Certain Special Immigrants (Fourth), and Employment Creators/Investors (Fifth). Diversity Immigrant Visa (DV): also known as the Green Card Lottery, provides a Permanent Resident Card for “diversity immigrants” from countries with low rates of immigration to the United States. There are a limited number of these visas available each year and they are distributed among six geographic regions. What type of visa should I get? There are about 185 different types of visas, so the type of visa you need depends not only on why you’re entering the United States but also on your background and eligibility. Our immigration law practice has helped clients with almost every type of U.S. Visa. We are particularly skillful in assisting individuals with procuring extensions of their visas, changing their categories, and transferring within a specific category (e.g. helping individuals currently working in the United States on H-1B visas for one employer to switch to another job with a different employer). Visit our immigration law office in Paterson, NJ if you’re not sure what type of visa you might need. We welcome questions and consultations to help you get the right type of visa for your particular situation so that you can fully understand the eligibility requirements and the application process.